The number one piece of advice that startup founders receive time and time again from mentors, venture capitalists, and even their peers? “Iterate, iterate, iterate.” Yet it seems that the inevitable result of success is to leave this method behind the moment that it produces positive results. In this article, we will discuss the reasons why businesses should continue pursuing agile growth even after experiencing initial success. We will also provide a few tips for promoting a company culture that allows for this type of experimentation and development. Iterating is the process of redefining your product, service, and/or message based upon the way customers and leads respond to your business. Because this requires a great deal of attentiveness, a highly unified team, and a willingness to pivot consistently, it is usually viewed as a process that is perfect for small, tech-savvy startup companies. Some examples of iteration involve a slow, steady change in a predictable direction. When Facebook grew, for example, it slowly redefined itself, first as a social network for ivy league college students, then as a network for all college students, then as a network for everyone. Other examples of iteration can be quite drastic and revolutionary. Youtube, for example, started as a dating site before its founders radically redefined their mission and purpose. Regardless of where your company falls on the spectrum, it is likely that you used some form of iteration early on in the organization’s history. However, most companies lose this willingness to adapt as soon as they find success — and this, in our opinion, is a mistake. Disruption is the name of the game in the modern economy, and whatever it is that your organization does, you can bet your bottom dollar that somewhere, in a basement, garage, or coffee shop, an innovative entrepreneur is developing a smarter, faster, cheaper, more intuitive way to accomplish the same solutions that your company offers. Innovation is the new norm, and if your organization isn’t leading the pack, you are bound to fall behind. 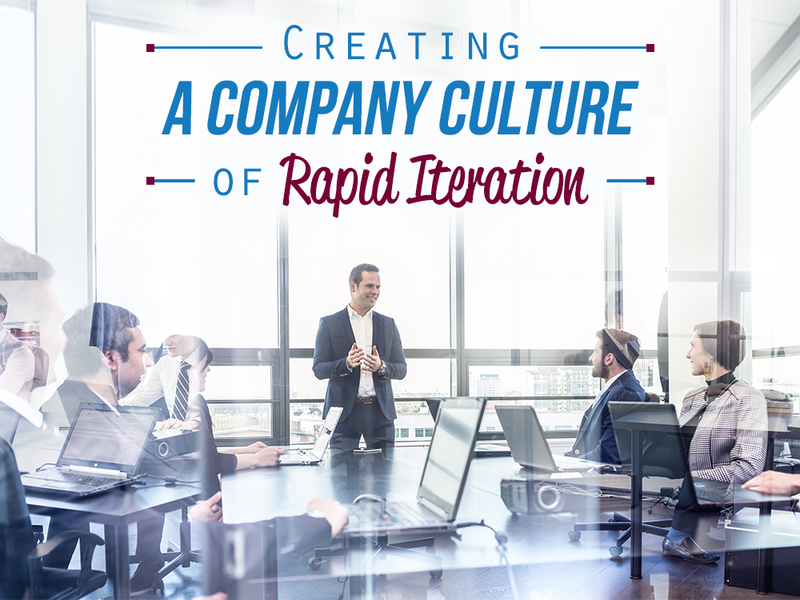 How can you create an organization that stays agile and willing to iterate even after finding success? Here are a few useful strategies for battling complacency. 1. Hire employees who value innovation and creativity. 2. Provide your team with tools that foster the implementation of new ideas. 3. Fight the “innovation gap,” which is described in this recent Planbox blog article. 4. Budget for the development of new ideas across every department in the company. 5. Create a culture of open communication — and lead by example. 6. Think in terms of continuous progress, not separated projects. 7. Attack new problems before they begin affecting the bottom line. Learn more about innovation-driven management software and how it can help your organization remain agile, whether you are hiring employee number one or number one thousand. Visit Planbox online today for a complete overview of our services and software solutions.